Manufacturer of a wide range of products which include digital time interval meter, circuit breaker time interval meter, digital breaker time interval tester and circuit breaker time interval tester. 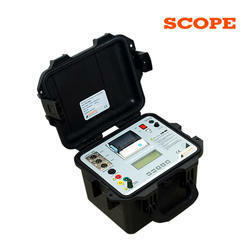 We are offering Circuit Breaker Time Interval Meter to our clients. 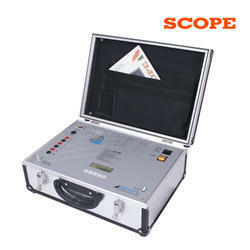 We are offering Digital Breaker Time Interval Tester to our clients. 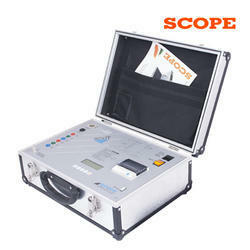 We are offering Circuit Breaker Time Interval Tester to our client. The high sampling frequency of up to 10 KHz offers high timing resolution of 0.1 mS.
Mains, as well as rechargeable Li-ion battery, operated. Inbuilt battery monitor and cut off circuit for protection against battery deep discharge. Inbuilt real time clock, memory, and printer*. Test time stamping on each record enables time references for future use. PC Downloading Analysis including ‘Trend Analysis’ is possible with “CData SCOT” Software supplied with the kit. Enclosed in ultra-rugged IP67 class hard molded case.The instrument is supplied with CData software CD, Calibration Certificate, and Test leads suitable for testing of EHV class circuit breakers. Quick & simple tool to assess the operational healthiness of circuit breakers. Understand the simultaneity of pole & break operation. 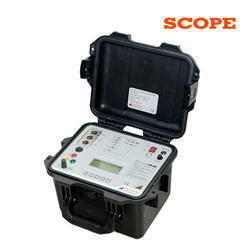 Battery operation enables measurement in absence of AC supply, especially useful on under-construction sites. Proven reliability in EHV switchyard environment. Thousands of units in use worldwide. Suits equally to Utilities, OEMs, Test Labs as well as Testing & Commissioning Companies.